In Need of Spring Repair or Replacement? 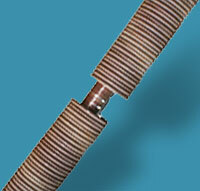 A garage door spring will last an average of 10,000 cycles if maintained regularly. If you use your garage door as an alternative entrance to your house, you can expect to replace this part every 5-7 years. This one little part is exposed to tremendous pressure as it opens and closes the garage door. Unfortunately, this is not a number that most people keep track of. We replace out garage door springs with springs that have an average cycle count of 20,000 cycles and last an average 8-10 years. This is one of the most delicate repairs for a garage door. If not calibrated correctly, you can risk a costly repair blunder or even injury. Whether you need a spring replacement or conversion, our team is here to educate you about the best options for your garage door. Seattle’s best in garage door repair. Sound Door Service has over 15 years of experience in the garage door repair field, working on countless homes and businesses in the greater Seattle and Bellevue areas. We put your safety and satisfaction first. Our garage door specialists will take every precaution and use their experience to make sure your door opens smoothly for years to come. Based out of Renton, we serve much of the King County area. From Snoqualmie to Kirkland, and Maple Valley to Mercer Island, we’re proud to be the garage door company you can trust for new installations, repairs, and all other services. Also, make sure to ask about specials on spring repair and replacement in your area!